For some, there’s no place like home. Easy Living Home Care offers aging seniors the chance to live out their lives in their homes, where they’ve been comfortable for decades. Easy Living Home Care provides a range of, personal care services to clients in their homes. 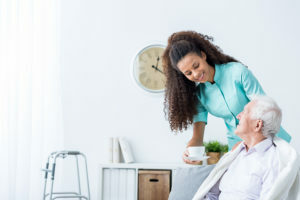 And, according to the National Association for Home Care & Hospice, a variety of forces will begin to push care away from nursing homes and drive it toward home and community-based care. In 2016, home health care spending totaled $78 billion as the first of the 78 million baby boomers turned 65 last year, according to a marketResearch.com report. The “silver tsunami” is coming as the remaining boomers reach their golden years over the next two decades. At the same time, fewer family members are taking on caregiving responsibilities for older relatives because of the burden it places on their families. According to the U.S. Centers for Disease Control and Prevention. Lori LaPorte, owner of Easy Living Home Care, says her private pay company has seen incredible growth over the ten years it’s been in business. The company provides services ranging from laundry and errands to 24/7 services and end-of-life care. A lot of families are hesitant to put loved ones in nursing homes because of the stigma attached. Easy Living home Care provides supplemental care, working with the family to provide support. Her employees also go into facilities and nursing homes and provide bedside care along with caregiving for hospice patients. “When a family member can’t be there, we can provide companionship and activities of daily living (ADL) help at the bedside, this ensures your family member is getting the best care possible” LaPorte says. When interviewing home health care providers, do your own due diligence and seek out referrals from friends, neighbors, co-workers or medical professionals. Be sure to check references. • Is the agency licensed by the state? • Do they carry liability and workers’ compensation insurance? • What services do they provide, and are they available 24/7? • What kind of staffing does the agency provide? • How much experience does someone have? How long has the agency been in business? • Does the agency conduct background checks on all staff? • Do the same staff members provide service, or do they rotate? • Are costs and payment expectations in writing? • Do staff members receive ongoing training? • How often do staff communicate with family members and how? Easy Living Home Care answers yes to all the questions. Additionally, LaPorte takes an active role as a “hands on owner”. She is always available to her clients and family members. 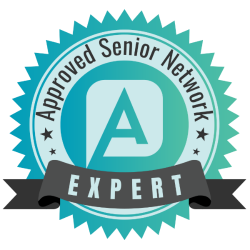 When looking to Age in Place, you can rest assured Easy Living Home Care is the best agency to assist with all of your needs in a loving, compassionate and attention to detail manner.